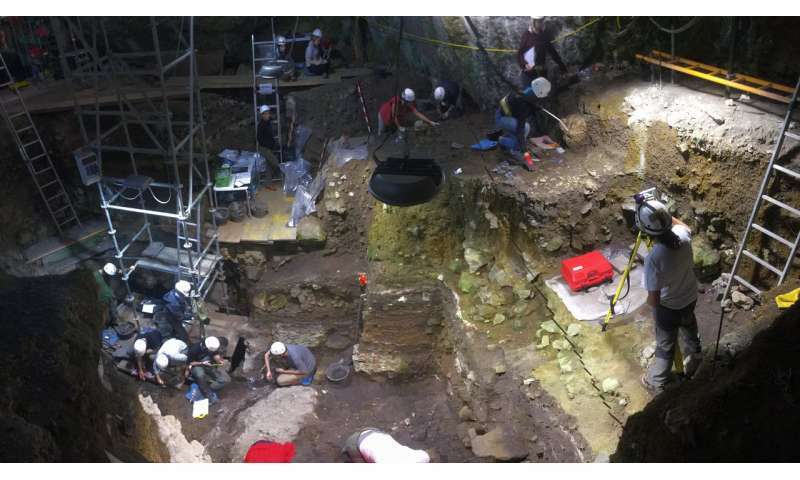 In a multidisciplinary study published in PNAS, an international team of researchers combined archaeological, genetic and stable isotope data to encapsulate 4000 years of Iberian biomolecular prehistory. 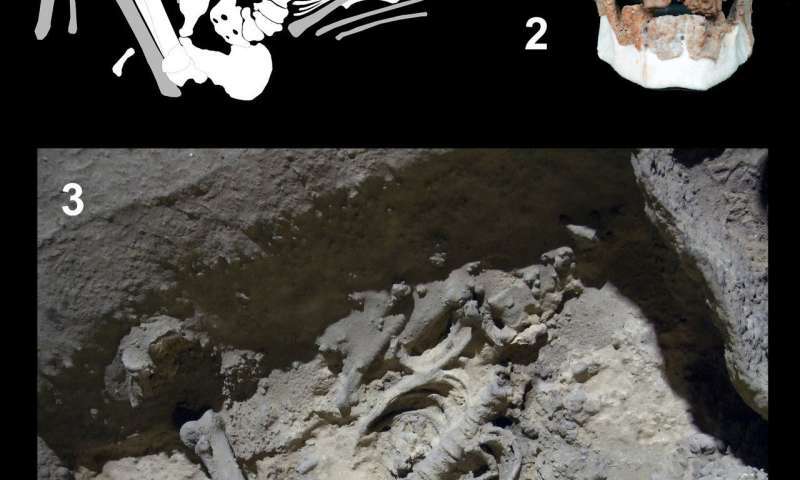 The team analyzed human remains of 13 individuals from the north and south of Spain, including the rich archaeological site of El Portalón, which forms part of the well-known site of Atapuerca in Burgos and in itself harbors four millennia of Iberian prehistory. The study also involved important sites like Cueva de los Murciélagos in Andalusia, from which the genome of a 7,245 year-old Neolithic farmer was sequenced, making it the oldest sequenced genome in southern Iberia representing the Neolithic Almagra Pottery Culture—the early agriculturalists of southern Spain. Prehistoric migrations have played an important role in shaping the genetic makeup of European populations. After the last glacial maximum about 20,000 years ago, Europe was inhabited by hunter-gatherer groups and two major migrations during the last 10,000 years had massive impacts on lifestyle and gene pool of European populations. First, groups originally coming from the Middle East and Anatolia introduced farming practices to Europe during the Neolithic. Less than 5,000 years ago, herder groups from the Pontic-Caspian steppe spread over the European continent. As both of these movements originated in the east, the most western parts of the continent were last to be reached by these migrations. While archaeogenetic studies have shown that both of these migrations have replaced more than half of the gene pool in Central and Northern Europe, much less is known about the influence of these events in Iberian populations, particularly in the most southern areas such as Andalusia. The first farmers mainly reached Iberia following a coastal route through the northern Mediterranean Sea. The new study demonstrates that Neolithic Iberians show genetic differences to the migrant farmers that settled in Central and Northern Europe. "This suggests that all early farmers in Iberia trace most of their ancestry to the first Neolithic people that migrated into the peninsula and that later contributions from their central European counterparts were only minor," says archaeogeneticist Cristina Valdiosera from La Trobe University in Australia, one of the lead authors of the study. These Mediterranean route migrants show a strong genetic connection with the modern-day inhabitants of the Mediterranean island of Sardinia. "We can probably consider modern Sardinians relatively direct descendants of the people who spread farming practices across the Mediterranean region around 8,000 years ago," adds Mattias Jakobsson, population geneticist at Uppsala University, Sweden and one of the senior authors of the study. Despite other potential entrances into Iberia, such as North Africa or mainland Europe, the researchers did not find substantial regional differences within Iberia. Uppsala University's Torsten Günther, population geneticist and one of the lead authors of this study, says, "While geographic differences seem minor, we do see some differences over time due to interaction and genetic exchange between groups." The first Iberian farmers show remarkably low levels of genetic diversity, indicating that the first wave of eastern migration to establish itself on the peninsula was relatively small. Following this initial period of low diversity, the newly arrived populations grew in size and mixed with the local hunter-gatherers, rapidly increasing genetic diversity during later periods. 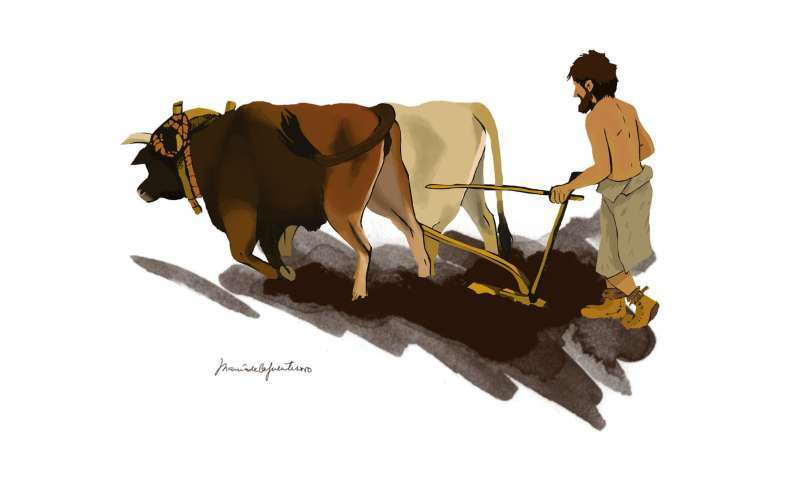 Representation of an Iberian Neolithic farmer. Credit: Maria de la Fuente (Maria de la Fuente Archaeological Illustrations). Low genetic impact of later/Bronze Age migrations in Iberia While recent studies have demonstrated that a massive migration of Pontic-Caspian steppe herders during the Late Neolithic/Bronze Age transition is responsible for a major population turnover in central and northern Europe, the authors report in this study that the genetic influence of this migration on contemporary southwestern Europeans, namely the prehistoric Iberians, was only minor. This confirms that the genetic history of Iberia was unique as it has mostly been influenced by the main prehistoric migration associated with the introduction of farming practices—the Neolithic Revolution. The authors also investigated the diet of these Neolithic farmers throughout almost 4000 years corroborating that despite the significant biological interaction between culturally different groups the farming culture predominated from the very beginning and continued over time. Molecular archaeologist Colin Smith from La Trobe University, one of the senior authors, explains: "Interestingly, while we do see a substantial genetic influx of hunter-gatherer ancestry into farmers over time, the diet of these early farmers does not change. Their terrestrial diet is characteristic of farming cultures and persist temporally and geographically across the millennia." The study illustrates the power of interdisciplinary research to understand the full complexity of European prehistory. "Overall, these results emphasize the differences between the westernmost populations and their central European counterparts and highlight the need for detailed regional studies to reveal the full complexity of prehistoric migrations," Dr. Valdiosera concludes.